I won’t deny the fact that, to a first-timer, outbound marketing seems to have higher direct expenses than inbound/content marketing. However, creating content and using it to market your business takes time and patience. The truth is the content marketing is slower and requires a lot of planning. If your startup has spent enough time using content to market, you might notice periods of stagnation where leads may come in slower. You may also realize that you have to grow beyond your current market (which has saturated) and you have to start taking risks for higher revenue. The new market may be a new geographic market, a new age group, based on a new kind of product, a larger segment or a small sub-segment of your existing market, etc. In such a scenario, a smaller outbound marketing campaign can act as a massive booster shot for your lead generation. The main objective of such a campaign should be expanding your market to a new category of the audience or share a really high impact content or launch a new product. If you have a large content release campaign planned over 2-3 months, it’s smart to run an outbound campaign as “a warmup to get people to notice your brand” whenever they see your brand new content. Outbound campaigns are indispensable to any online branding activity. Inbound marketing is a long term strategy. You won’t get results in a day, or even in a month. Even if you do everything right – create an empathetic persona, align your content to the persona and optimize it for SEO, set all your conversion paths in order – you would find lead generation to be a slow process. At some point, you might notice that your business is not where you expected it to be. You are second-guessing every campaign-related decision you made and your anxiety makes you crave caffeine and that, in turn, make you even more anxious. So, dejected and frustrated, you finally decide to loosen your pocket and turn your attention towards outbound marketing. But wait – do you really know what is outbound marketing? Paid search ads are not classified as outbound marketing because they are based on what keywords you select to bid for. Audience sees them only when they search for those keywords, not otherwise. Therefore, paid search ads are a part of the customer-initiated conversation and hence an Inbound Marketing technique. Social media ads are based on audience sets and other criteria you select while creating ad campaigns. You input the various audience characteristics and the social media platform finds those people and displays those ads to them. Because the ads are not keyword-based, they can be classified as outbound marketing campaigns. Influencer Marketing campaigns are also a type of outbound marketing technique. They’re often better than social media ads because you have an established source of authority (the influencer) and a highly engaged audience set (followers of the influencer). With the definition out of the way, let’s get to the crux of the matter! Finding your niche is really more about finding what you are good at, rather than just trying to fit in. Sure, you have a great product. But if you don’t have a clear idea of your position in the market, then it’s easy to waste time and money finding the right audience. You can quit this step only if you have a highly refined buyer persona and have spent years perfecting your marketing process. In the initial days, you have to start somewhere and gain a foothold in the market. Find your apparent competitors who share the same industry. Define what makes you similar to them and what you are offering that’s different from them. If you are offering something different, how is it different/better? And if it’s not better, can you make it better? While you are figuring out your niche, it must be important to note that it has to be as specific as possible. This means saying no to wider, seemingly crowded niches. As Becky McCray explains in her article, you are not really cutting down the number of potential customers by narrowing down your niche; you are actually trying to find the people most suited for your product. These people have the highest probability of purchase from you; it ensures your efforts won’t be wasted on people who have no chance of buying from you. Define your ideal customer – Who will be using your product/service? Is there a class of users who will need it more than others? Are they single mothers, fathers, divorcees, newlyweds, or grandparents? What role do they play for people closest in their lives? Define one (or two) specialized services – For your ideal customer, you may have expertise in multiple areas for your subject matter. Can your company produce a product/service used by everyone in a repeatable fashion without any apparent loss in quality? Often asking this question, may bring a few highest probability services/products at the top. Start with these; start by assessing your capacity and try to develop repeatable results in these areas. Find a tough-to-serve customer – I quite like Becky’s advice for this case. She claims that to find a loyal, long-term customer, go to people who have a hard time finding a service similar to yours. For example, digital marketing services for small, local clothing boutiques in your city. Since they are small, they likely won’t be much aware of how to market their business online (and they will have a very limited budget). Give them your first round of service for free and let them pay for the next level after seeing the results. It would quite a fun challenge to create processes for them and educate them. Find your intersection with other businesses – Do customers consume your service while doing something else? Go to those other businesses and attach your product with them. For example, a brand new keto-based ready meal delivery service can tie up with large IT businesses. They could create a pop-up store to deliver pre-cooked meals to the employees of the organization. Consider a niche based on a geographic area – Find people in a particular geographic area and target only them to start with. The decision of which area to choose is entirely up to you; it could be based on your own location or based on market research which reveals the highest probability of conversion in that area. For example, Kota is a city in Rajasthan state in (North Western) India. It’s famous as a mecca of higher education institutes and is basically a “university town”. If I am selling a product/service which helps improve students’ productivity, I would start with Kota. Offer product/service with exceptional customer service – It could be that all your competitors are offering a similar or same level of service, but you discovered that the customer service they offer leaves people unsatisfied. You could choose to target those unsatisfied customers with a rock-solid customer service plan. Use emotional trigger words to appeal to the pain of these customers. Within no time, you would be claiming a big chunk of the market share pie. Offer a price advantage – If you don’t seem to have much of an apparent advantage of your competitors, go luxury or go budget. Offer the highest-ticket products to only luxury customers or offer products at rock-bottom prices to budget-conscious users. You would be surprised how this can be a rewarding business branding strategy, at least in your early days. Social media ads are a crucial part of outbound marketing. The idea is simple – take your ads where your audience is. Facebook, Twitter, and LinkedIn – all have robust ad managers which businesses can leverage to advertise to their potential audience. Which of these you select, will depend on the type of product, type of ad, and the tone of your copy. Each of these has its own strengths. Facebook’s feature of custom audiences allows you to include or exclude specific audience sets so you can control who sees your ad. You may want to exclude your current customers from a new ad, you can upload your email list of converted customers into your Facebook Custom Audiences. By installing your own customized Facebook pixel on your website, you can track who visits your site and when. When you don’t have much of a following, you can use this pixel code and run ads to target only those users who recently made a visit to your site. If that’s not enough, Facebook’s lookalike audiences feature lets you expand your audience by targeting new people who are similar to your target audience. What really sets Twitter apart is its TV Show based Targeting. This is an option used to promote to users following a specific TV show. You could choose to show your ads before, during, or after the show – to people tweeting about and engaged with the show. 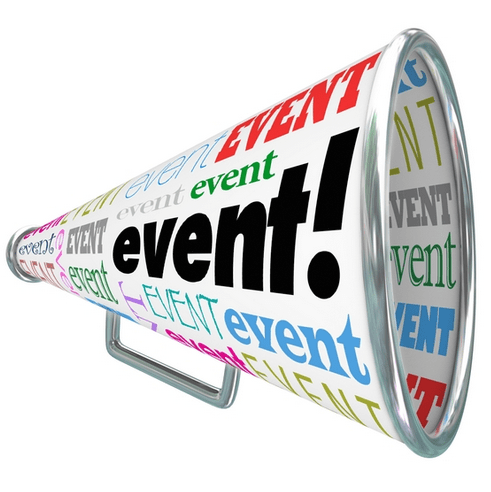 Twitter Events is another powerful option which lets you target users interested in a particular global event. LinkedIn targeting is nothing like Twitter and Facebook ads targeting. You have to look at all the professional attributes. Building a solid ad targeting strategy enables you to create higher more-effective, high-converting LinkedIn Ads. Find the type of ad you want to send. If you are setting Sponsored Content and Text Ads, you are opening up your ad to a larger pool of audiences and hence it is useful for more generic ads. If, however, the ad offers something highly-specific and a large reach is not needed, you can choose Sponsored InMail ads which are delivered directly to users’ inbox. Start by defining the location where your relevant audience might be. Define your target audience by using multiple professional attributes: interests, identity, education, company, and experience. Use Matched Audiences (MA) feature in LinkedIn Ads Manager to build customized audiences based on your own data. You can upload your own email list to retarget them. Influencers and decision-makers are perfect for account-based targeting. Do not get caught up in the number of targeting options available. 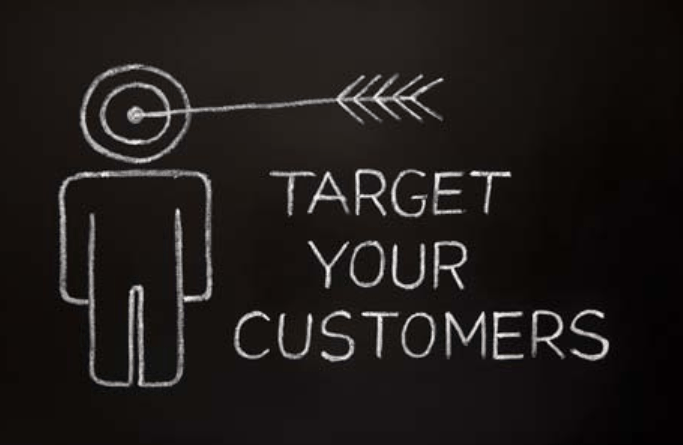 Avoid hyper-targeting as highly precise targeting options may decrease your reach. If you are new, you want to start by focusing targeting with limited number targeting facets. Test your ads to see what gives you the best results. All you have to do is create a duplicate ad, define what you want to test, and change those parameters for the duplicate ad. Over time, as your test runs, the campaign manager monitors them for you. At the end of a defined period, you will know what works the best for your audiences. Keep repeating these experiments until you have gathered enough data to make a decision. Like most major social ad platforms, LinkedIn also offers an Audience Expansion feature which increases the reach of your ad. The new people may have professional attributes slightly different from your ad targeting criteria, however, they would still be relevant. Use this feature to expand beyond your current audience. While creating any kind of ad, you will experience most success when you tailor the content to the type of people who would be seeing your ad. You need to gain a basic understanding of your audience and the kind of content they like. Measure your campaigns to get insights on what works with your audience and what doesn’t. Use these insights to tweak your ads and improve their conversion rate. To help you understand their Ad Targeting options and how they affect your ad, LinkedIn came up with an ebook titled “Unleash LinkedIn’s Targeting Capabilities”, which you can download here. As explained in this awesome article on Medium by Erica-Lee Lick, having a voice or a personality is about “familiarity”. Every person has a certain quality to him/her, which makes it easy for others to identify them on the text. For example, if I use a lot of emojis and I ask a lot of questions in my chats. People would freak out when I don’t use emojis and actually listen without asking irrelevant questions. Full disclosure: no, I am not proud of it!! 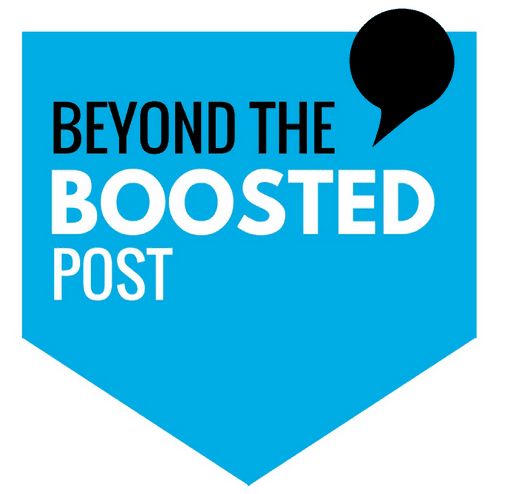 Coming back to the point – people associate a personality to brands as well. Russell Brunson has also alluded to it in his widely-acclaimed book The Dotcom Secrets. Head over to Foodpanda’s Instagram and you will see a consistent brand voice that a foodie will identify with. Zomato’s Instagram is markedly different from Foodpanda, even though both brands offer the same service. While Foodpanda is “more of a foodie”, Zomato is “very witty and funny”. Taking a cue from the publishing industry, we know that not every writer we hire will have the exact same voice. So, we establish repeatable standards through our editorial guidelines. 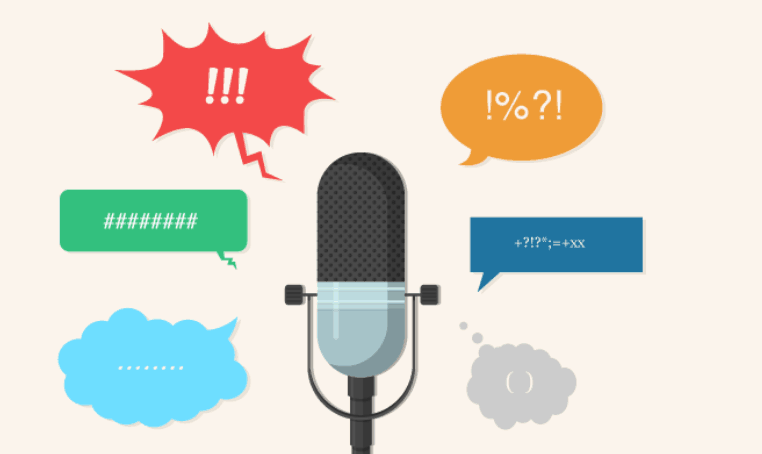 What is the tone of voice in your most popular pieces of content? What is the perception of your brand among your customers? (Hint: Use online reviews or the feedback data you collect, look for adjectives that help characterize your brand). In this step, you will stitch the core characteristics of your brand’s personality together to create a persona that makes your brand sound more “human”. Use human characteristics to define the personality and capture how a person with that dominant trait will talk. Tone and voice are NOT the same things. The voice is the overall content, while tone adds context based on the type of conversation. Your brand’s tone will be different in different situations. So, essentially, tone refines your brand’s voice, as stated by Kevan Lee on Buffer Blog. Your brand voice style guide should include lists with DOs and DON’Ts, where you will ask your content creators to choose a particular word/phrase over another in all situations. You can also create specific branded terms that you want to use and standards for spelling and grammar check. Grammarly and Hemingway App are great tools that we use at EngageBay. People absorb images, GIFs, videos a lot faster. Emojis are the flavor of the season. Define what your writers can use to appropriately represent your brand. Give detailed guidelines that help writers find the exact type of media faster (in each category). For example, you could tell them to use only animated images, or create memes out of “The Simpsons” callout stencil images (if that’s your brand’s thing!). At the root of this problem of misalignment is lack of communication. It takes time and some deft procedural tweaking to ensure everyone in the sales and marketing team has the exact same data. If you do not want to waste time and want to save money at the same time, you can check out how EngageBay’s all-in-one software helps you eradicate communication problems with a shared CRM between the marketing and sales team. With outbound campaigns, alignment is a matter of a simple knowledge transfer session. 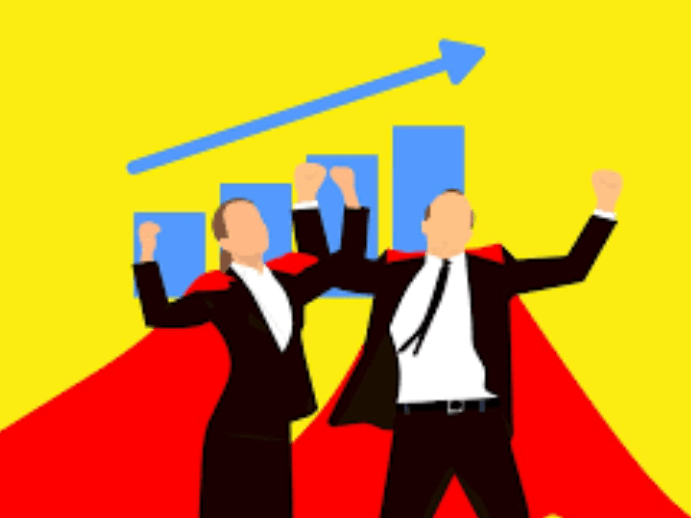 Usually, outbound campaigns are handled by sales and marketing teams. If the support team doesn’t stay in the loop, it takes them longer to answer the calls. It creates a bad impression of the customer service of the company. That’s why – once the campaign is conceptualized, gather all your customer-facing executives and let them know of everything they need to know about the campaign. Also. discuss with them the kind of questions that they need to be ready for. Ask them what else they might need and provide it to them. If done right, trade events and trade shows could be a very effective and economical way to generate new leads. Not just that, it allows you to grow your network and meet amazing people in your niche that inspire you. If you are lucky, you may even gain a friend from these shows. These friends or acquaintances can support us and help grow our business. You can really unlock tremendous growth potential through the strength of your professional network and the partnerships you form thereof. You cannot to these events trying to achieve everything. Having multiple competing interests will throw you off your game and you won’t be able to do any justice to any of them. Instead, pick one or two primary goals and put your efforts behind these goals. Prepare a plan and create a strategy to talk about your business. If your goal is to generate leads, be ready to talk about your business and be ready to close that conversation quickly and exchange cards with people. You have the whole day and to make the most of it, you should be talking to as many people as possible. At the same time, you don’t want to rush through swarms of people without making any impact, talking very little and very unenthusiastically. Your interaction should be brief, polite, and persuasive. This is the fundamental principle of conversion marketing – it’s also one of my favorite tactics as a marketer. Because it’s so simple and easy to be persuasive when you talk about how the product helps them instead of just telling them what features it has. When you talk about benefits, you can engage people better and create a more positive impression. This will, ultimately, lead to lowered resistance when you call them back after the event. You don’t have to be so serious; a business seminar or event isn’t going to be like a high-school lecture. You do want to make sure you don’t lose out on essential detail. For example, if you (or someone) else asks a crucial problem to an expert during the QnA, you would want to note down the answer. Or if you meet someone interesting and they don’t have a card (or may have run out of cards), you could note down their name and contact details. Note-taking apps are powerful even just to note down ideas you may get individually or while talking to other associates or members of the audience. You need to carry at least 20% more cards than you anticipate. So, make sure you design and order these cards well in advance. If you and your team are carrying devices, you will also need portable chargers (or power banks) that are fully charged. So make sure to plug in your devices and your power banks overnight so they have all the juice to last you the complete event. Check up with your team if they have done the same. Recharge them every evening if you are attending a multi-day event. All the talking and eating food from the event vendors can add to may leave your mouth dry or with bad breath. Be relaxed and carry some mints with you for refreshment. Create your own hashtags or contribute to existing hashtags. The content you create is not the high priority, but in the buildup to the event, it gives you visibility over your competitors who might also be present there. You could simply tweet about your business being there, or mention about other businesses who will be there. Doing so gives you a chance of being a part of the event at a deeper level; it also helps you build a consistent presence. There may be many others who are not able to attend the event due to whatever reason. You can always start a live blogging stream to keep them updated with the event while making your brand a part of it. Pick the best moments and tweet them with pictures/short clips, and add something extra into the post which focuses on your brand. If you are planning to give goodies to people visiting your counter, note that many other people might be giving them out too. To make your brand stand out, give thoughtful goodies that others need. For example, every stall gives out pamphlets. If you give them a small tote bag with your brand logo on it, yours will be the dominant brand because the majority of the people will be carrying your bag. Want to make it appealing? Create a branded tote bag made out of jute/cardboard instead of plastic. It’s sustainable and gives your brand an instant image boost as an eco-friendly bag. By creating a small mini-event (like a lucky draw) at a fixed time of the day, we give the audience a reason (the potential reward) to come back. The lucky draw rewards are big hits in many events. The mini-event will be like a first stage of the funnel; Your reward can be relevant merchandise or a discount coupon/deal for your product/service. For a newcomer in direct sales, cold calling can be scary. But this fear can also be a catalyst if the salesperson has the right kind of training and a healthy attitude towards customer service. Before starting the cold calling for the day, you would need some kind of personal ice-breaker as a conversational warm-up. You could set up a dummy cold call with your colleague or your boss too. Once you get started, use these tips below to make sure you don’t lose your conversational thread or feel lost. Start with generic questions and progress on to more specific ones that make them reveal the real emotion they would try to hide with logic to justify their buying decisions. When they do open up, let them speak and do not interrupt. You have to avoid any closed-ended questions that elicit a yes/no response. End the call when the person stops showing interest. Nothing delights a potential customer than knowing that a salesperson (who called him to sell something) is actually listening to them. So, listen to their problems well when they talk about it because that gives you the opportunity to ask specific questions. These specific questions will help you go deeper into the emotional state and help you get a clearer picture of their actual motive. Limit your cold calls to only the most essential questions to keep the call short. Your goal in the cold call should be to get the prospect to the next meeting or the demo. You should not expect the caller to be ready to buy. 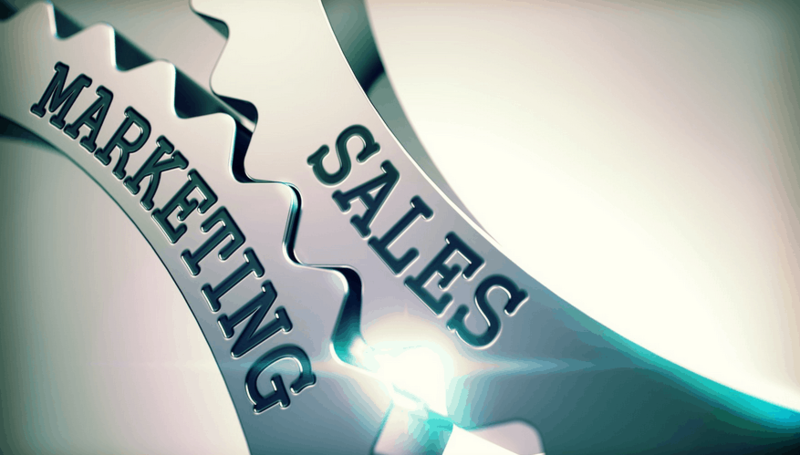 Most leads need nurturing which the rest of the sales and marketing team will do for you. You can do this by focusing on the needs of the client and on the benefits (NOT features) of your business. The cold call is to figure out if they need your help, not if you can satisfy their needs. It irritates me the most when salespeople call me and talk to me with a templated dialogue and a flat tone. Tonality is the most important key to make your voice sound more personable and humane and 99% of the sales calls I receive ignore it. If you want to have any chance of improving your cold calling skills, start working on your tonality even in your everyday conversations. You got to bring your A game on each and every call. Radio ads can be an extremely powerful way to gain entry into a new market, especially a new geographical market. You don’t just buy ad time on radio, you pay for the audience. There are hundreds of different ways to create appealing radio ads. Here are some basics to get you familiarized with the process of writing radio ads. Your listeners are already tuned into the radio station’s music; the ad playing before your own ad may have grabbed their attention for a while. Your opener should be powerful and unique enough to grab their attention but not annoy them. Radio listeners usually change the channel when the ads begin. Your opening hook’s job is to prevent them from doing just that. For this, using a voice actor with a distinct voice can be very useful. Focus on one or two key benefits and their corresponding features. Don’t waste time on the smallest benefits. The key to good radio copy is keeping it brief and persuasive at the same time. The CTA for radio ads is usually a phone number or a physical location to visit. If it’s a phone number, make sure every digit in the phone number is clearly spoken and the entire number is repeated twice. If it’s a physical location, mention the full address and also guide them using the nearest landmark. Radio ads are short. For listeners to retain your brand’s positive impression, your copy definitely needs to be catchy. If there are some crucial benefits that you want them to remember, make sure to repeat it in the copy at least twice. If you want to play the same ad on different radio stations, you need to be upfront with each radio station about it, you would need a higher budget too. Sometimes, stations try to chop off or shorten the clips to fit into the time slot. If you want to get your money worth, monitor their air time or get someone junior in your office to monitor them for you. You could also apply the repetition principle in a different way. Buy the exact same time slot on the same station for all days of the week. This ensures you get the maximum exposure in front of the same set of audience. You will need a higher budget for such repeating ads though. Finally, don’t give in to the station’s pressure to book slots that are not effective for your audience. They will try to fit ads into less-popular slots like the late night or early morning. If your audience is not awake in that slot, your ad would be useless. So don’t accept any random slot change that the station lays down for you without thinking of your audience, even if they offer you a very low price. Be ready to walk away and change the station if the need arises. Print advertisement is yet another powerful outbound marketing strategy. Your company most likely won’t generate enough traffic just by relying on media journalists; you are not Apple! Print ads, like Radio ads, need a big “pop” to first catch the users’ attention. Unlike Radio ads, the pop in a print ad comes from the size, color, font, or some other striking visual feature in the ad. What about the rest of the ad? What and how should your ad convey your brand’s message after capturing the attention? 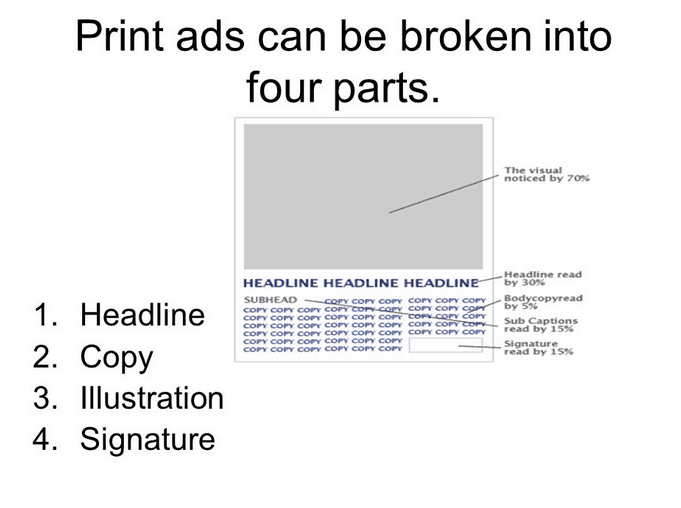 Here are a bunch of basic and advanced tips to create powerful print ads. Without sufficient knowledge or time, you may end up using your internal PPT decks for your print ad copy. Realize that, unlike your internal stakeholders, the general public are not there to read your ad. They buy the publication to read the content, your ad is just in the way. Your content, therefore, should be crisp and concise. The simplest way to do that is to select one or two key benefits for the customer. Once you do that, you give your ad a chance to survive the 2-second test. A full front-page ad grabs the most eyeballs. In print advertising, size always matters and size (almost) always wins. The title font should be large enough to be clearly seen, and not so large that it leaves no whitespace or clutters the rest of the ad. The print ad copy needs to be about customers, who care about great customer service as much as they want a great product. So when writing this copy, think about how you can assure them of the best possible customer service. The simplest way to find the most eye-catching image is to spend a day in the life of your ideal customer(s). You can also do that with an imaginary scenario. The deeper you know a potential customer’s life, the easier it will be to find the most relevant visuals. Focus on the solution that your business offers, NOT the problem it solves. When you focus on the problems, you will most likely use negative imagery and words. When your potential customers see this,s a negative impression gets created in their minds and they end up associating that negative feeling with your brand. Don’t let that happen! Focus on the solution you offer and the “end state” of your customer after using your product/service. This means fervently avoiding the “initial state” or the “from state” of the customer prior to using your services. Social proof has been one of the most reliable conversion triggers since ages. It’s a known fact that people buy emotionally but they use logic to justify it. So to make them convert, you have to touch on these emotions. Telling them that others also trusted you helps their mind mimic that trust. Thus, the credibility of your brand takes seed. Same for credibility seals or awards from high-visibility third parties. For example, an information security product can show a badge of trust from a trusted anti-virus software like Norton or McAfee. You can also use industry awards and recognition badges. Worked with reputed clients? Show that by using their logos. But first, make sure you get written permission from your clients to use their logo for your own marketing. Don’t clout the ad with too many of these logos, they might take attention away from the print ad copy. By offering some reward like a free consultation or a discount coupon, you make the conversion a two-way transaction. The people have one more reason to buy from you or to contact you. This lowers the powerful psychological barriers they might have with regards to money. You can follow visual design principles like the F-pattern or Z-pattern for the placement of your CTA, so readers don’t miss it. The CTA should include your online, on-call, email, and physical contact information in a very clear font. You may exclude some of these if they are not relevant to your campaign. Yahoo! partnered with Nielsen and Hunter Qualitative and came up with a detailed analysis of various factors about the use of video ads. They published their findings in a report. Video ads served across multiple platforms have been very effective and their results were seen in improved brand exposure metrics. Here are some crucial keys to develop video ads for higher engagement and conversion. To create a consistent brand appeal, your audience needs to see your logo clearly, regardless of the device size. On a small mobile screen, your brand logo might get lost. To make your brand more memorable, keep the size of your logo large and its design striking. If you make a great ad, your brand gains a positive impression. You would obviously want to capitalize on that impression. This might seem a bit obvious but people often dispute the need for CTA in video ads, particularly for those ads that don’t offer discounts or any immediate benefit for the viewer to act on. Even if you don’t have something to offer immediately, include a hashtag with your brand’s name. This lets users know how to engage with you and join an online conversation about your brand. Otherwise, a landing page or app install link works well for engagement too. The difference between a good brand ad and a poor one – is how you plug the brand mention into the ad. The exact second to mention the brand doesn’t really matter. If it doesn’t make sense, your brand is doomed. You can’t salvage a crappy ad. Want an example? Pepsi made an ad with Kendall Jenner, where she was shown offering a can of Pepsi to the police officials during a Black Lives Matter protest. Here, during a protest, Pepsi was given to the police officers – this didn’t make sense to many because it’s the protestors who needed the drink, not the police officers. Moreover, she was a part of the protestors. Why would she give the can to police officers trying to stop the protest? The ad was termed racist and Pepsi eventually had to retract the commercial and issue an apology. If your brand is new, a comedic ad tone helps familiarize people with your brand. If they already know about your brand, a dramatic toned ad helps create more brand affinity among your audience. Finally, an informational ad is more successful than all other types in getting people to buy your product; it works on improving the purchase intent of the viewers. Vertical ads capture more screen area and therefore give a larger “viewport” (or larger portion of the screen) for brand exposure. 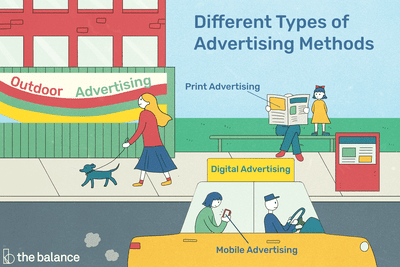 However, there’s no clear winner among traditional horizontal ads and newly popular vertical ads. Test your ads on different device sizes to learn which one suits better and how to optimize your ad for the same. Additionally, you may want to create a separate ad for TV and mobile. Your ad doesn’t need to be very long to convert for brand affinity and purchase intent; the traditional 15-30 second duration works very well – especially on mobile ads. I have seen ads go past 1 minute; these days ads of up to 2-4 minutes are pretty common on YouTube. From personal experience as an audience of these ads, a long ad is NOT welcome unless it genuinely tells a very appealing story. Surprisingly, there have been at least a few ads that have made me watch for the whole 4 minutes duration. Many advertisers don’t like ads that start automatically and hence they are afraid of creating such ads. In reality, autostart does not seem to hinder the performance of the ad with regards to brand affinity, brand familiarity, and aided recall. Especially for the millennials, it’s the relevance and engagement of the ad that matters the most. There’s a lot more to outbound marketing than just social media ads. Print, Radio, and Video ads all have to be a part of your outbound marketing strategy. In this article, we covered several high-level outbound marketing tips for different forms of outbound marketing. No matter which form you use for your company, make sure you have discovered and refined your niche. You need to have a solid outbound ad targeting strategy so as not to waste your marketing budget on ads that don’t cover. All of your ad copy must be focused on customer benefits and not the features of your product/service. The easiest way to do this is to write around the SOLUTIONS you provide rather than PROBLEMS you solve.